“We will be leaving the European Union on March the 29th, 2019.” This is the promise Prime Minister Theresa May has repeatedly made to the United Kingdom, the EU, and the world over the past thirty-two months. But yesterday, the day that Brexit was originally scheduled to be executed, Parliament voted down the Withdrawal Agreement proposed by May’s government for a third time. This is in addition to the eight other Brexit options put forward by MPs in a series of “indicative votes” yesterday, none of which could command a majority in the House of Commons. Those will be put to Parliament again next Monday, April 1st. But if there is again no majority for any of the alternative options, the likelihood that Britain leaves the EU without a deal on April 12 increases significantly. The vote against No Deal on March 13 was non-binding. If no majority for some form of Brexit emerges by April 12, currently free flowing supply chains that sustain the UK with food, medicine, and all manner of essential goods and services will grind to a halt. Government and businesses will have to respond immediately to the imposition of WTO trading rules, with the added customs checks and declarations causing shortages of some goods and significant price rises. It was so close. Theresa May’s strategy was to run down the clock to scare Tory rebels into voting for a deal they did not like. It worked, but not well enough. On its first outing on January 15, the Withdrawal Agreement received just 202 ayes, 432 against. On its second outing on March 12 it received 242 in favour, still not enough. The PM hoped that by pledging to resign in exchange for a vote in favour of the deal, winning over the final Tory holdouts would be quid pro quo. In order to place the deal before Parliament for a third time, Theresa May had to separate the Withdrawal Agreement from its accompanying Political Declaration. In doing so, she also signalled that she no longer sought to enforce the strictures of that declaration, and whoever succeeded her would be free to pursue a different strategy for dealing with the EU. Leading Tory rebels jumped at the opportunity to take control of the Party once Brexit was assured. But as Nicola Sturgeon, Scottish First Minister, put it searingly: “Theresa May must be the only leader in living memory who has tried to fall on her own sword and managed to miss.” On its third outing there were 286 ayes to 344 noes, another increase of approximately 40 in favour. Yet still, 34 Tory rebels and the Democratic Unionist Party (DUP) denied the Government a majority. After the second vote failed earlier this month, Mrs May went to the European Council and received an extension to Article 50. New exit dates were agreed to; May 22 if Parliament voted for the Withdrawal Agreement, April 12 if it didn’t and no alternative versions of Brexit found a majority. In doing so, she extended the clock. Yet this neutralised the strategy that was designed to scare Parliament into voting for her deal. Now, MPs will vote again on the proposals they saw on Wednesday, in desperate search of a majority. Of the eight alternatives, the one to receive the most support was the “confirmatory public vote” with 268 in favour, 54 short of a majority. This option states that any Brexit deal agreed to by Parliament would have to be approved in a second referendum. However, this option is not an actual alternative to May’s withdrawal agreement, and Jeremy Corbyn did not give Labour MPs the option to vote against it. Therefore, the gap between what MPs truly want and a majority in the House is even larger. If MPs coalesce, and a majority is found for one of the eight alternatives, there is an added complication. 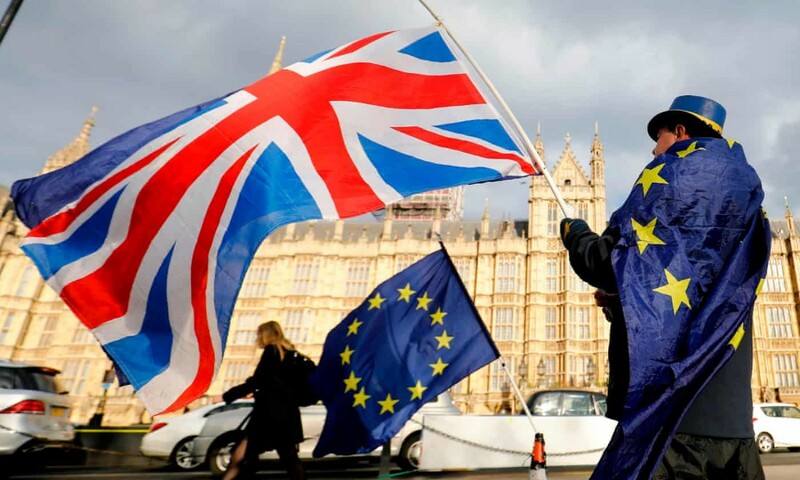 Unless that alternative is the affirmation of a No Deal Brexit (which is extremely unlikely), Britain will have to hold elections to the European Parliament near the end of May. European leaders have remarked that, by electing representatives to an institution it is planning to leave, Britain would be threatening the EU’s constitutional integrity. Neglecting to hold European Parliament elections in the UK while it was still a member would deny British citizens a legal right to representation there. Theresa May and many MPs think this would be an affront to the British people. Before the third vote on the Withdrawal Agreement, the PM remarked that she believed “Parliament has reached its limits.” If it has, and Parliament fails to find a majority in the next 14 days, then it is more likely than not that Britain will leave without a deal. European leaders are of no mood to continue giving Westminster time to decide and have announced that they are prepared for the No Deal eventuality. No Deal was the Brexit alternative that garnered the least support on Wednesday, but it may yet be the outcome Parliament delivers. Featured image by Tiocfaidh ár lá 1916, via Flickr Creative Commons.